If you’re here to find out what makes a top-rated senior dog food and which brand is the best based on several factors, then you’re definitely in the right place! Dogs of ages 7 years and older have unique needs compared to when they were in their younger years, which is why you’ve made the right decision to seek advice on what to do and what product to get. A dog’s nutrition needs change as it gets old, so it’s just right that your perspective on certain senior dog food brands changes as well. Like many dog owners out there, it can certainly feel like a challenge to select just one brand, especially when there are thousands for you to buy from online. At first glance, all dog food, especially for senior dogs, may seem like it’s exactly the same. But there are certain ingredients that are required while there are others that you need to skip. Read on to know what they are. We can’t stress this aspect enough. Many brands that produce inferior quality senior dog food use meat byproducts rather than actual meat. Although the former is not really harmful or toxic, it can’t ensure the needs of your dog for proper nutrition. A senior dog requires good quality protein compared to a younger one as the older dog’s body can’t process food nutrients as well as it used to. This is a fact that’s crucial for you to know. If you have already spent money for a DNA test for your dog or for double purpose furniture that can act as its crate and your end table at the same time, then there’s definitely no reason for you to shy away from giving the animal quality food. The best dog foods for senior dogs contain real meat and lots of it instead of just 10 or 20 percent. Real meat as your dog’s source of protein must be on top of the dog food’s list of ingredients. Your options in terms of protein vary as some brands prefer chicken while some use lamb. There are even exotic ones which use bison and venison. Choosing a type of meat will just be a matter of preference. Simply go for the formula that has real meat if you’re just getting started. Something that you should be wary about is the fat content of dog food for senior dogs. It must be lean and its fat must be reduced. Unfortunately, dogs that are aging tend to gain extra weight as they are getting less active. This means your dog’s diet shouldn’t have lots of fat to ensure that it’s still healthy and in shape. It’s just another basic rule that pays to be followed whenever you check out geriatric dog food. 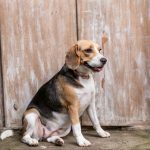 As you know already, mature dogs tend to get obese or overweight easily, but they also need food that will make their digestive systems work as they’re supposed to. You’ll find probiotic powders or juices made specifically for dogs online. If you don’t have the money to spend on them, it’s fine but it’s a good idea to get mature dog food that contains such compounds already. A formula that’s enriched with probiotics can guarantee that the digestive tract of your dog works well. This will also help in preventing unpleasant consequences of aging like allergies. 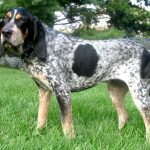 Whenever you start noticing your dog’s coat getting coarse and it’s turning rough, take that as a sign that your pet is starting to develop a skin condition. In that case, you don’t just need the best senior dog food, but also one that has probiotics for dogs that have allergies. It’s a must, especially if you want to give your ailing four-legged friend all the care and attention it deserves after sticking by your side all these years. Dogs that suffer from fewer conditions health-wise, even if they’re just superficial, are happier and they are more likely to live longer. If you’ve checked out some of quality senior dog food available for purchase online, then you already know that they don’t just contain real meat. Just like us, a dog is in need of a balanced senior dog diet to stay healthy. The dog food that you should get for your senior dog should give your dog exactly that: a balanced diet. Vitamins and minerals are needed in a dog’s diet just like ours. 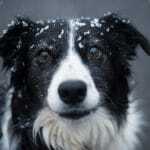 An aging dog is likely suffering from aching joints and bones. This means you need to get Fido mature dog food for older dogs that’s rich in both phosphorus and calcium. Additionally, glucosamine and chondroitin are ingredients that promote and maintain healthy joints. Apart from that, whenever you take your senior dog out in cold weather, remember that it needs dog boots so its aching joints don’t worsen or get triggered. Antioxidants apart from vitamins and minerals must come from a reliable source or if possible, a premium one. Take the time to check if your chosen geriatric dog food includes veggies and fruits that are real in its formula. Carrots and peas are great sources of beta-carotene, which is a compound that has anti-aging benefits. Antioxidants are found in lots of different fruits, but it will depend on dog food manufacturers in selecting the right sources to use with their formula. Cranberries, blueberries, and apples are some of the popular ones found in the best senior dog food, but they’re not the only kinds, of course. You’ll also notice that fiber is added to lots of mature dog food. This is because fiber helps greatly with bowel movement. In turn, it helps with your dog’s overall health. Just like with antioxidants, fiber should be from healthy sources like whole grains, brown rice, and barley among others. The suitable fiber content helps a dog feel full, which is an essential thing as dogs, as they age, tend to overeat. There’s an impossibly long list of things that should never be found in a dog’s diet. 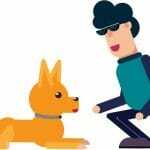 If you’ve been in the market for a long time, you may already know that some popular brands of dog food don’t include grain in their formulation. The reason for this is because dogs, regardless of age, don’t eat grains, especially if they’re living in the wild. Also, grains shouldn’t be part of a dog’s diet. What about whole grains? Well, they’re an exception as they’re added to a dog’s source of fiber. Whole grains have a pretty active role as well in the promotion of a healthier gut in dogs. Attention: The diet of your dog must not include artificial ingredients or preservatives. They are mere fillers and they’re not great at all for an aging dog’s health. This applies to artificial colors as well. They’re not just useless but they’re also possible causes of cancer in dogs. From the buying guide you just read, you’re now equipped with the essential information that enables you to pick the best senior dog food. That means you can move on to the fun bit which is shopping! 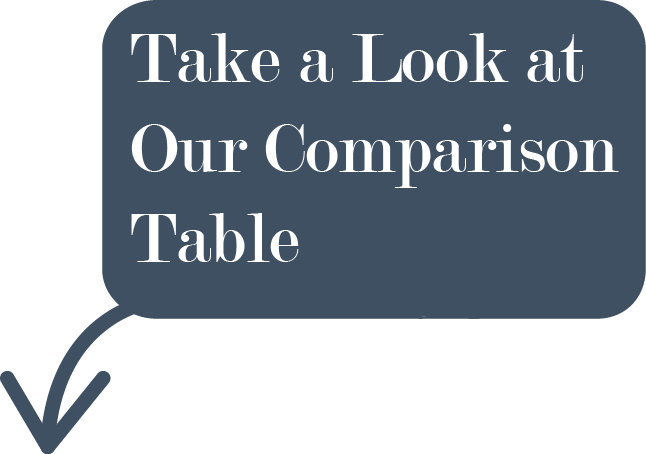 Scroll down to find out what we think is the best dog food for senior dogs out of the many products that we’ve tested. This product for mature dogs is protein-packed and specially formulated to aid your elderly best friend’s inefficient metabolic functioning. We love this product from Eukanuba because it has quality protein and a higher level of it to compensate for the low efficiency. 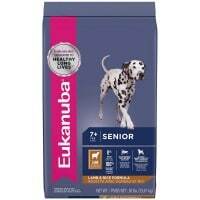 It also has improved the coat quality of our senior mutts as the dog food resolved most of their skin issues. 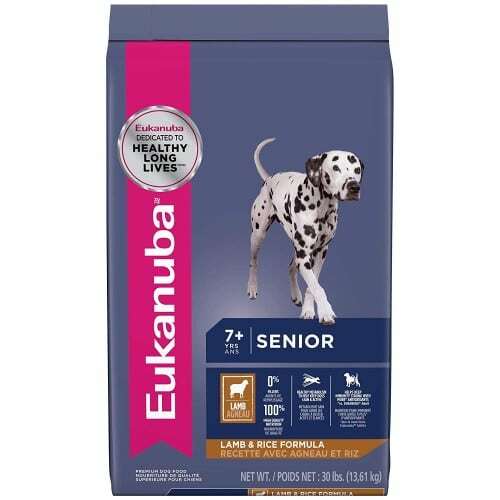 The ingredients found in Eukanuba Senior Dog Food include real lamb protein, which promotes leaner and stronger muscles; a blend of antioxidants, which offer support to a strong immune system; and optimal levels of fatty acids (Omega-3 and -6) for a lustrous coat and healthy skin. A bag contains 30 lbs. of dog food; however, you can get it in smaller packages. Not all dogs may like lamb. Fortunately, it has a chicken variety. Next up is the dry variety of the Nutro Ultra Senior Dog Food. There are lots of things to rave about this brand, but what impressed us the most was the fact that real meat is listed as the first ingredient used in the formulation. Apart from actual chicken, lamb, and salmon, non-GMO ingredients were used as well. 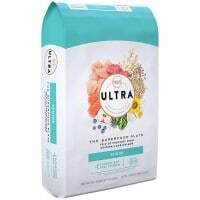 You can expect a bag of Nutro Ultra Senior Dog Food to arrive on your doorstep containing nothing but quality protein and a blend of multiple superfoods like chia, blueberries, kale, and coconut. 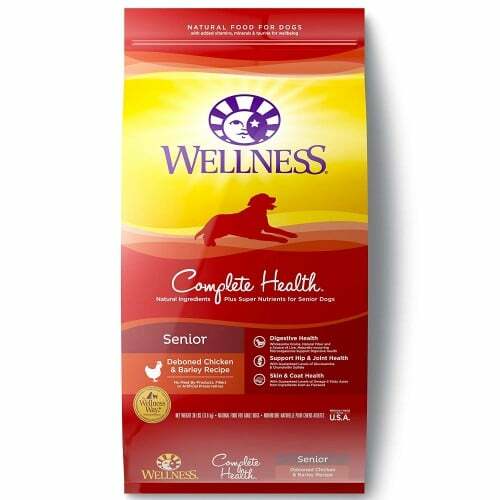 We think this product deserves to be on our list of the best senior dog food because it doesn’t have any artificial coloring, flavoring, or preservatives. You won’t find a trace of wheat, corn, or chicken byproduct meal on a bag of Nutro Ultra Senior Dog Food, which makes it suitable for a good adult dog diet. According to Nutro, this particular product is formulated for the overall health of an adult dog. The online market usually has adult dog food brands that are specifically made to address certain health conditions like weight control, joint pain, or skin and coat issues. As for the Nutro Ultra Senior Dog Food, it promotes strong muscles, lean body mass, strong bones and teeth, skin/coat health, and healthy digestion. This makes the product an all-around solution! Also, the kibble size can be considered as smaller than the regular, so it’s great for a senior dog with dental health issues. It’s pricier compared to other dry dog food for senior dogs, but it justifies its price. The third product on our list of the best dog food for geriatric dogs is Hill’s Science Diet 7+ Adult Active Longevity for lots of reasons. First off, the manufacturer’s customer service is commendable. We got a bag that was opened from the handling of the delivery. In just a matter of days, we were given a replacement and we didn’t have to go through any trouble for it! Suffice it to say that the company definitely knows how to do business. As it turns out, Hill’s Science Diet also donates to animal shelters across the US. This means every purchase of what we consider as one of the top rated senior dog foods, the Hill’s Science Diet 7+ Adult Active Longevity, let’s you help feed homeless pets each day. But, let’s now focus on the actual product itself. We love how there are two kibble sizes as smaller breeds or dogs with dental issues need smaller pieces to chew and swallow. As the only protein used is chicken with the rest of the formula consisting of natural ingredients that offer vitamins, amino acids, and minerals, it’s a good option for your adult dog if it’s experiencing digestive issues. The formula changes from time to time, but dogs receive it well. 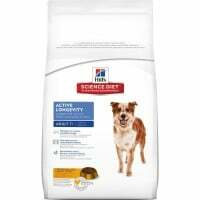 A product made in the US, it provides mature dogs what they require: a delicate diet. As it contains carefully selected ingredients, you can expect the formula to consist of only naturally sourced ingredients which are also rich in nutrients. Some of these are chicken, barley, oatmeal, white fish, brown rice, canola oil, flaxseed, and carrots. We love the fact that it also has perfectly balanced levels of glucosamine, chondroitin, and calcium to strengthen the joints and bones of senior dogs. 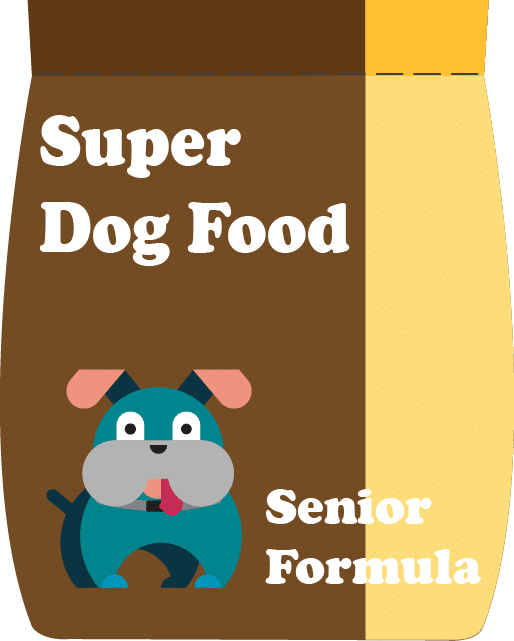 This dog food formula isn’t just formulated to improve the body mass of senior dogs and enhance their digestive health, but it’s also very tasty. We didn’t have any trouble feeding the Complete Health Senior Dog Food to our picky eaters. Consumer reports regarding the brand also show the satisfaction of other pet owners with the product. Some said they saw an improvement in their elderly dogs as well, which is why they’re sticking to the brand. Some buyers have experienced delays in shipment. 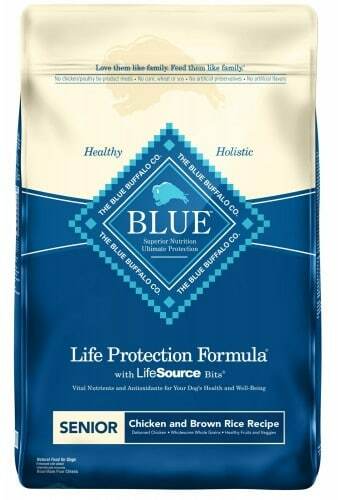 The Life Protection Formula line of Blue Buffalo is focused solely on optimal nutrition and natural ingredients. There are different flavors that the company is offering: fish and sweet potato, brown rice and lamb, and brown rice and chicken. We’ve tested out the chicken with brown rice variety as it seems it’s earned a great reputation for itself. It says in its package that it contains vitamins and minerals, as well as whole grains. The product comes in three sizes: 6 lbs., 15 lbs., and 30 lbs. Turmeric – A spice that’s good for weight control and digestion. L-Lysine and L-Carnitine – Support dog’s muscles but they’re rarely found in their diet. These three ingredients are worth mentioning as they’re not found in all dog food for senior dogs. Fortunately, the brand offers this. With the Life Protection Formula Senior Dog Food, no artificial preservatives are added and they’re substituted instead with fish oil, Vitamin E, and rosemary oil. If your dog has trouble digesting grains due to an illness, it’s best to skip this and stick with white rice rather than brown.